Spring has sprung! In between the odd snow flurries, the bulbs are out, the sun is shining and I actually want to walk the school run! 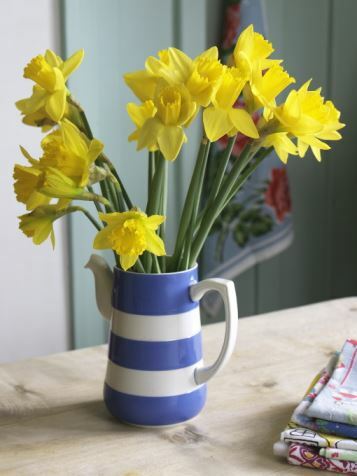 So it’s time to spring clean your home (or at least give it a good tidy up) and start to think about adding some lovely springtime touches to brighten your space as well as your mind. Add some flowers to pretty vases. Daffodils are the perfect choice as they totally sum up spring; you know that when you see this bright yellow flower it will be summer soon! 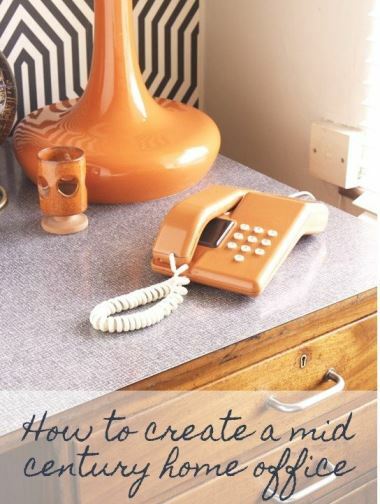 Instead of choosing a posh vase, why not use a vintage jug or bottle? This striped Cornish Ware jug featured in my book and looks fab in its simplicity. 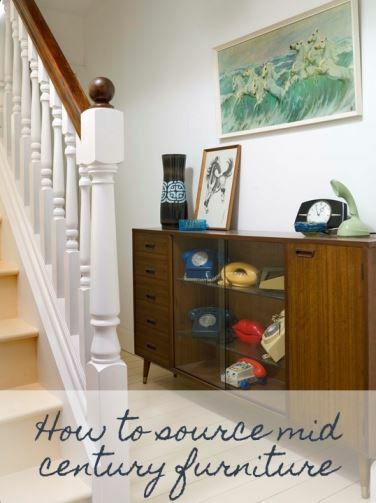 Use vintage wallpaper to line the inside of your drawers or the back of your cupboards. 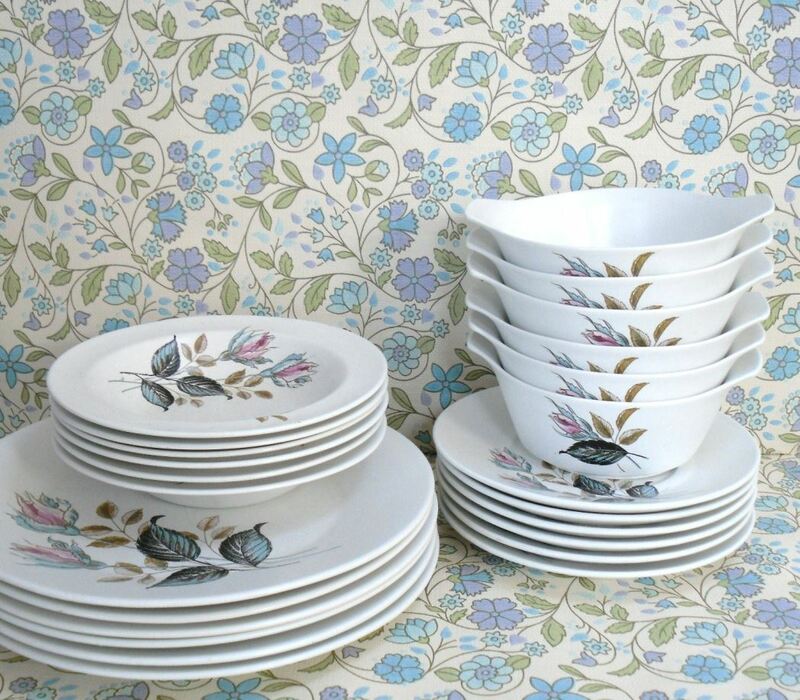 Choose a pretty floral pattern that will make you smile every time you open them! 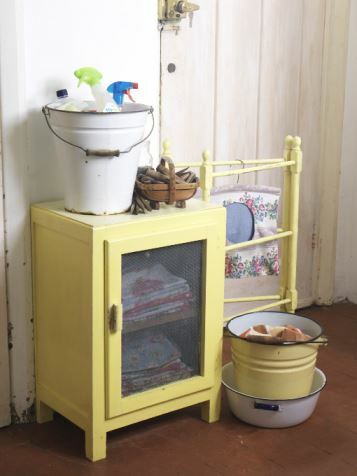 Make sure you clean in vintage style by carrying your modern bottles about in a 1940s enamel bucket. These can be found in colourful hues as well as white and look great out on display too. 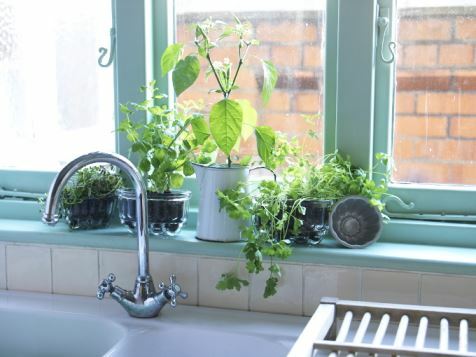 Plant herbs in vintage jelly moulds and position on a sunny window sill. Choose different shapes and sizes to add interest as well as more enamel! 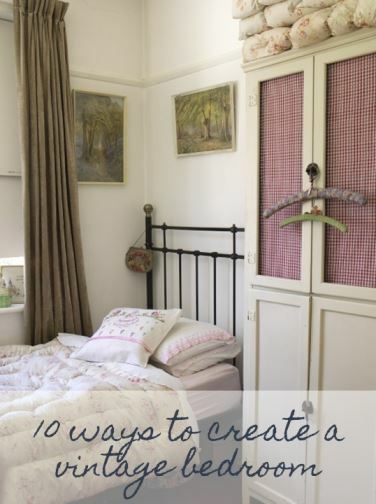 Paint a tired wall in a new pretty colour or hang patterned wallpaper. Choose a feature wall or chimney breast to give a small burst of brightness which will pop out at you. 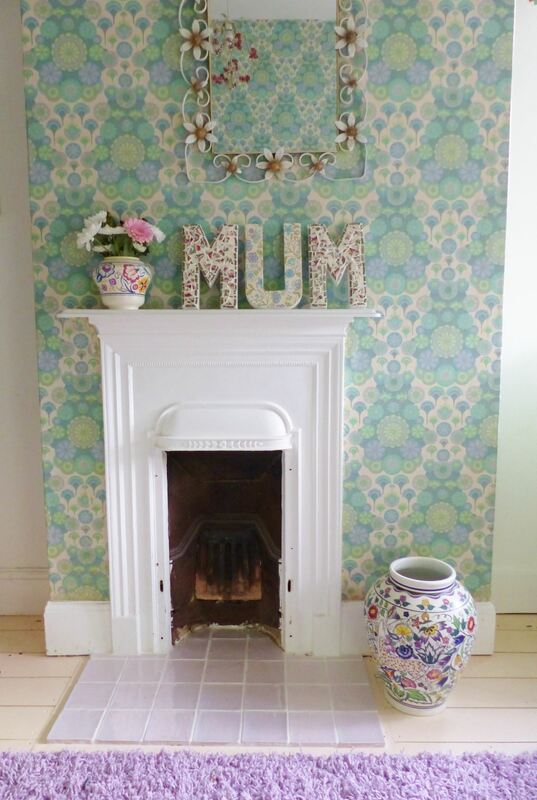 This is our daughters room with original 1960s wallpaper in duck egg and lilac..perfect spring time colours. 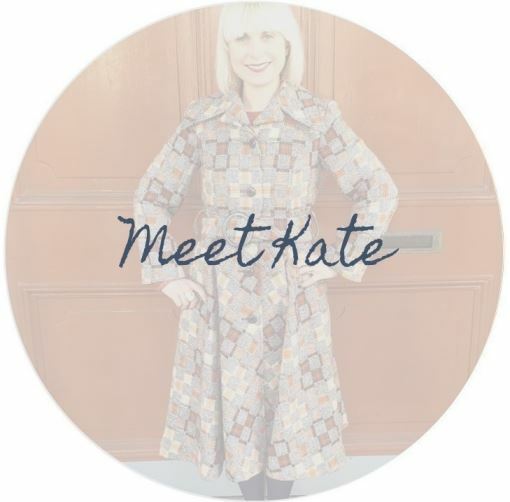 It will soon be Mothers Day so why not give her a handmade gift this year? 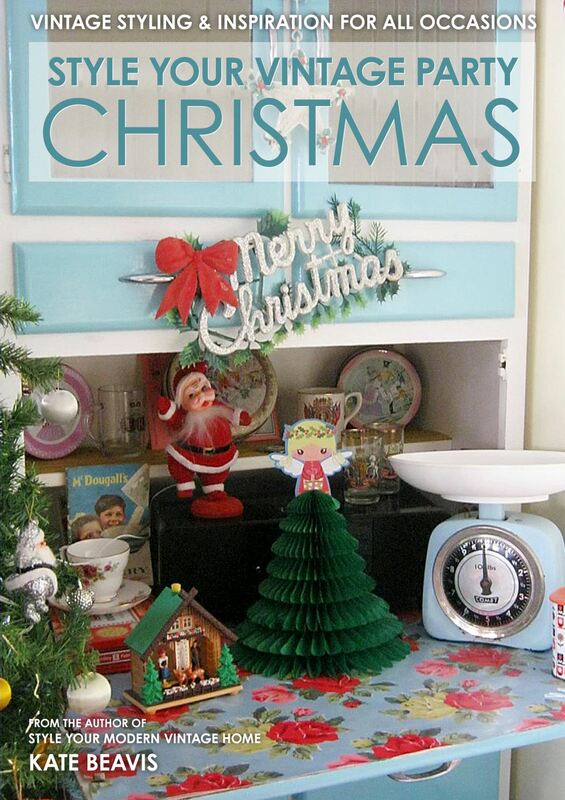 I have shown you how to make mosaic letters from broken china in this months Reloved magazine. 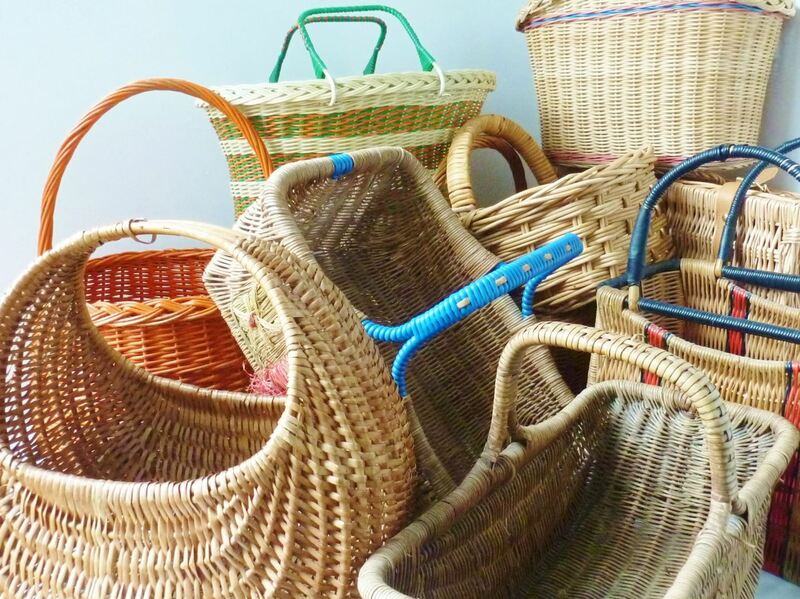 Lastly find a vintage basket ready for your easter egg hunt. They have so many uses; practical storage, fill them with food for a thoughtful gift, pick your home grown fruit and flowers in them or use them as a vegetable rack. 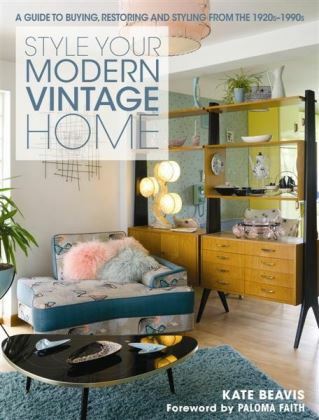 I can’t wait to move out of my shared flat with friends and into a new home together with my boyfriend, absolutely dying to get out all my homeware bits and make a house a home, especially loving the cornish vase!